Update Jan. 22 at 6:54 am CT: The v7.20 Content Update patch notes are live. Fortnite players know that a new week means another update is coming to the game. Developer Epic Games usually releases patches for Fortnite: Battle Royale and other modes on Tuesdays or Wednesdays. That’s when the company announces new additions to the game, weapon and item balance adjustments, new competitive events, and general fixes. And we know a bit of what’s coming early this week. We got the 7.20 update last Tuesday, and Epic’s community manager Sean “MrPopo” Hamilton already said we’ll get the 7.20 Content Update this week. Content Updates tend to bring very little changes to the game. They usually focus on adjusting what’s already in the game to fix problems created in past patches, while occasionally adding or vaulting very few items. These updates rarely mean players will see huge map changes or new mechanics being added to Fortnite. Fortnite designers have yet to give us concrete clues as to what’s coming in the next update. Even so, we still have some idea based on issues brought up by players. Here’s what could change in Fortnite’s 7.20 Content Update this week. Epic’s design lead Eric Williamson said the explosive weapon Quad Launcher will be vaulted in tomorrow’s Content Update. According to his tweet, other changes and possible vaults should come to mobility items. 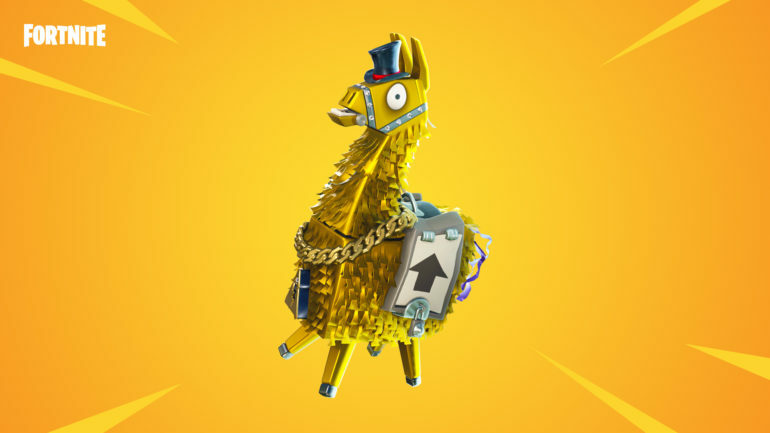 Despite the Sneaky Snowman release date not being confirmed, Epic usually adds these items to the game in the following update. It should be added with the 7.20 Content Update. Some Fortnite players and personalities have complained about a shortage of shield items from chests after the 7.20 update went live. It seems that the addition of the glider redeploy item has disrupted the drop rates of consumable items in chests, which led to a decrease in the drop rate of small and normal Shield Potions and Slurp Juices. Epic will address this issue in the 7.20 Content Update, according to Eric Williamson. It will probably reduce the drop rate of Gliders a bit while increasing that of shield items. A message in the game’s News tab says that the Deep Freeze cosmetics bundle is leaving Fortnite: Battle Royale soon. Epic rarely leaves the popular battle royale game without a cosmetic bundle like that, since it allows players to buy lots of skins at a reduced price while getting cheap V-Bucks. Leakers have found clues that a Starter Pack is coming to replace the Deep Freeze Bundle, and it might be the Cobalt Starter Pack. Epic has yet to announce it, but if the information hidden in the game files is correct, players should see this pack tomorrow. Fortnite updates usually mean a new fan-made Fortnite Creative area will be featured at The Block. Players should be able to see a new arena or named location north of Wailing Woods as soon as the patch is released and the servers are back up, but Epic has yet to announce what creation will be featured this week.